A day after Alameda City Manager Jill Keimach admitted to unlawfully recording two councilmembers without their consent, Alameda City Attorney Janet Kern said she will consult with the City Council on whether they want to refer the case to the Alameda County District Attorney’s Office. During Keimach’s spate of interviews Friday, she also asserted that Kern was aware of her intentions to record Councilmembers Jim Oddie and Malia Vella beforehand, and that the action was legal. According to sources with knowledge of the taping scandal, the issue of referring the then-allegation to the district attorney has been a major point of contention among councilmembers and city officials. Although the taping incident occurred last fall, the existence of the recording only became known to city officials sometime prior to Keimach being placed on paid administrative leave on Mar. 9. Keimach, herself, provided the recording to the independent investigator hired by the council. A special closed session meeting is scheduled for Monday evening to discuss possible litigation against the city resulting from the case, in addition, to the possibility of Keimach’s being fired. Meanwhile, the scandal, which was precipitated by Keimach’s search last summer for new fire chief, quickly devolved into a swarm of antipathy between her and the local firefighters union; and allegations by Keimach that then-unnamed councilmembers violated the City Charter by applying political pressure on her to hire a candidate for fire chief backed by the union. The pace of the burgeoning scandal quickened on Thursday with reports that Keimach illegally taped the councilmembers. An attorney for Keimach denied she recorded the councilmembers during a private meeting in August. But the next day, Keimach told multiple news outlets that she indeed, taped the councilmembers without their knowledge, but only did so because she believed their conduct was illegal. The act, referred to in the California penal code as wiretapping, carries a fine of $2,500 per violations and up to one year in prison. 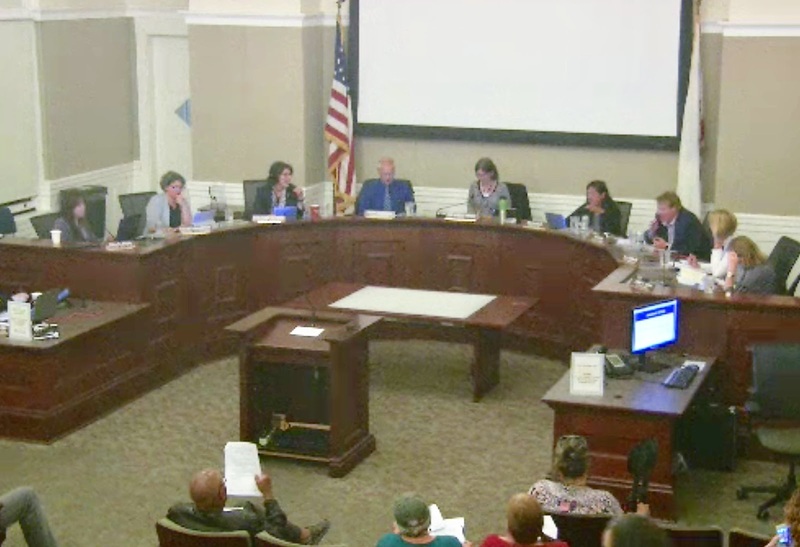 Posted in Alameda, Alameda City Council, Alameda City Manager scandal, Alameda County District Attorney, closed session, firefighters union, Janet Kern, Jill Keimach, Jim Oddie, Malia Vella, recording. Bookmark the permalink.